On January 21, 2004, Fr. Richard Arko, 40, above, and accomplice Jensen Powell, 24, were arrested by the police for growing marijuana in a closet in the rectory of Prince of Peace church. The Marijuana Grower's Guide and Opium for the Masses. Jensen Powell was living in the rectory and police alleged he sold marijuana from that residence. In fact, two small plastic bags of marijuana and $1,100 in cash were confiscated from Powell. 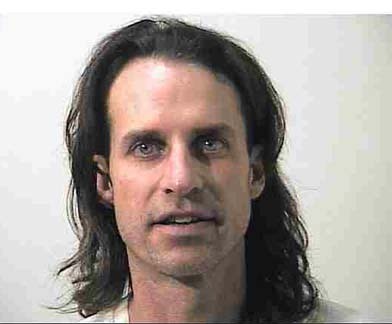 The priest, pictured above in the Summit County Jail photo, is also facing criminal probation into allegations of sexual abuse of a 15-year-old youth.To see a photo of Fr. Arko teaching a yoga class at St. Mary's Parish Hall and a picture of the pots of marijuana found in the rectory, click here and here.